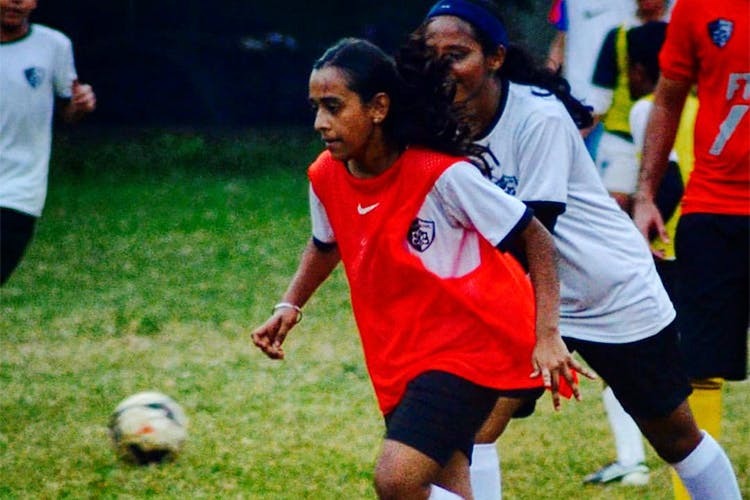 A football school in Juhu holds football coaching for women interested in kicking some ball. We have found a dearth of coaching schools or groups for women who simply just want to play some football, but want some guidance under it? The Kopana Football School is an institute which takes football coaching classes for both men and women, boys and girls. The girls + women programme is a 3-month long training period, with coaching for 90 minutes every Sunday. The age group starts at 12 years of age and goes up till about 28 years of age. It is open to everyone – from absolute beginners to the slightly interested. The classes are headed by coach Gary D’Souza, and they take 16 players for each session, and are priced at INR 2,400 a month. A few hours every Sunday, and you can get back to running around, picking up a new sport, and playing some football!